Your official one stop shop for all things Rockman, Rockman Unity, is getting a complete refresh. But it's not exactly the happiest of occasions. According to Capcom's Ucchy-san, the blog experienced a major technical hiccup late last week, causing articles to literally vanish. 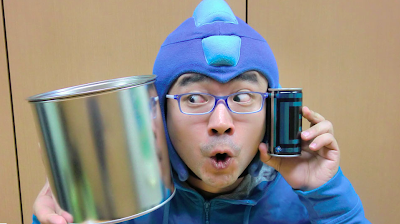 The issue has been cleared up, but at a price: the Rockman Unity archives are gone. Year's worth of content -- D-Arts figure previews, exclusive interviews, Ucchy-san shenanigans -- are permanently gone. With no backups readily available, restoration is an impossible feat. However, it's not all doom and gloom. With a fresh slate before them, Rockman Unity and Ucchy-san proclaim to persevere. The site isn't going anywhere, and and the man with the fuzzy blue hat will continue to deliver new content. Thanks to Amunshen for the tip! I'm sure if this happened to their Street Fighter sections they'd have it fixed already. Well, there's still the Wayback Machine, right? I actually showed Ucchy Wayback's archive of the site. There's quite a bit of content there. Hopefully it will help. Ok i joke...just sayin trolol.